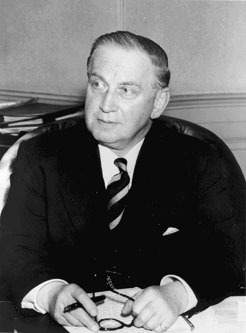 British physicist Edward Victor Appleton established that the ionosphere exists, and conducted research that led to the development of radar and shortwave radio. He studied under William Bragg, Ernest Rutherford, and J. J. Thomson, and won the Nobel Prize for Physics in 1947. In 1924 he proved the existence and height of the ionosphere, using a technique which was later exploited to develop radar. In 1926 he discovered the F layer of ionization (also called the Appleton Layer) and showed that it could be used to reflect shortwave radio broadcasts around the world. He also studied crystallography and the principles of vacuum tubes.